Our on-line store for We Love Hard House merchandise, USB collections and more. Be one of the first to hear about event news and announcements - we don't share our mailing list! A Weekend Away With Adam M has now SOLD OUT! Our next DJ showcase event will feature K8-e and Dawn Lee - both names are becoming well known for good reason on the hard house scene. This will be a unique opportunity to enjoy two extended (3 hour) sets that will progress and allow K8-e and Dawn to take you on a musical journey and will include some of their own studio material. to everyone that attended the sellout A Weekend Away With Rob Tissera (29 March to 1 April 2019) - the event has been receiving fantastic feedback. Photos from the event are now online, either CLICK HERE for our event archive or visit the Facebook gallery. Loyal We Love Hard House fan is Fadi. Under the alias Fad-Star he can be seen out with his camera at a plethora of hard house events right across the country. Here s is clip Fadi did to pay tribute to our Weekend events. Thank you Fadi! 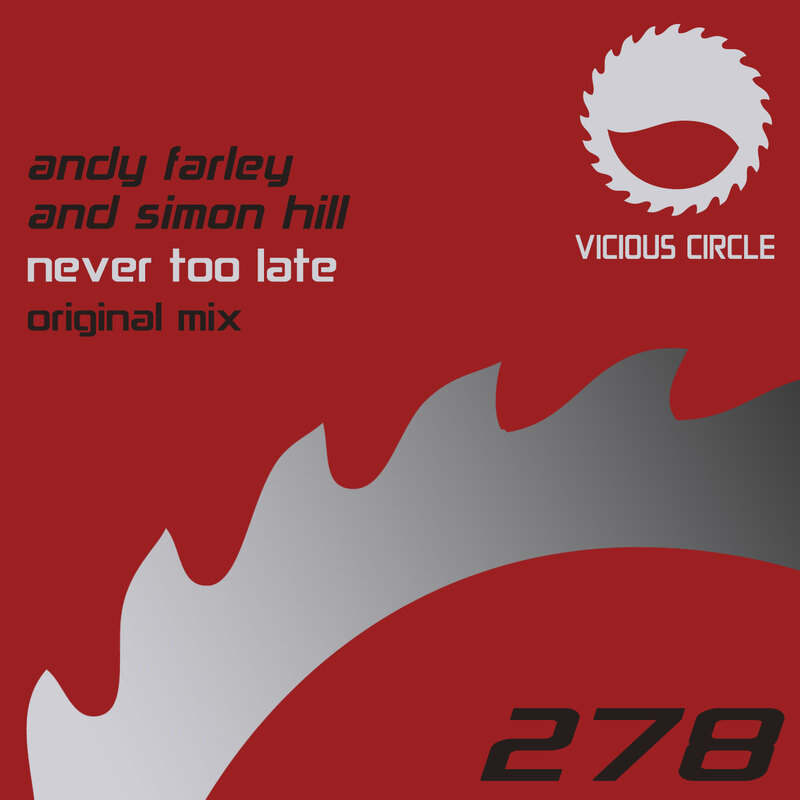 Simon Hill won last years Produce A Track Competition with Andy Farley competition and they produced an absolute stomper - Never To Late was pressed on to vinyl and played at last years Pure Andy Farley and today it gets its commercial digital release via Vicious Circle. Additional production by Ben Stevens. CLICK HERE  for details and entry form for this years Produce A Track with Andy Farley competition. STOP PRESS - Turn Me On has made it to the number one spot on Toolbox Digital - thank you for your support! Our first release of 2019 is from our own Paul King (Trauma, Pants & Corset, Terrance & Philip) who teams up with Martin Cook, AKA Bass Jumper. Turn Me On is a euphoric slammer and is sure fire to tear up the dance-floor. A Weekend Away With Lisa Pin-Up. Our 2019 season in style with an amazing capacity crowd. The sellout event saw some travel huge distances and in some cases in atrocious weather to reach Eastbourne. The feedback has been amazing, thank you everyone for supporting the event. Photos are now available via our Facebook gallery however we've noticed that the image quality is not great. As standard, to make images load quicker, Facebook compresses each one (effectively reducing the resolution) which is often not that noticeable. We've therefore loaded hi-resolution versions on to our website as well. Each event we run at West Rocks, whilst following a format of sorts, is individual and we are always evolving as we go. Our friends at London Sound who provide the sound and lighting equipment follow that ethos and this weekend they unveiled new lasers. Watch the video to see. Our NEW online store is now ONLINE!